As WordPress developers, we often need to retrieve posts, pages and other content matching specific criteria from the database. Usually, we don’t need to build SQL queries (and often we shouldn’t) because the WP_Query class and its methods provide us with a safe and efficient way to retrieve data from the database. We just need to declare an array of arguments, and the $query object will build the actual SQL query. In this post, I will assume you already know the basics of the WP_Query class, its methods and properties, and where to find a list of the available variables. I will focus on parameters provided by the WP_Query class specifically to optimize SQL queries, reducing execution time and resource consumption. When traffic and content are limited, we usually don’t care about the efficiency of our queries. 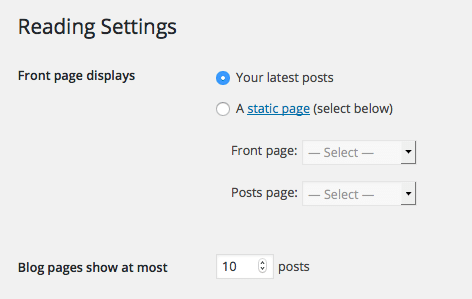 WordPress builds well-optimized SQL queries and provides a caching system out of the box. When traffic and site content grow significantly – up to thousands of posts – then we must consider query execution time. The code I’m going to show you has been tested with Query Monitor, a free plugin which provides essential information about query performance, triggered hooks, HTTP requests, rewrite rules, and much more. If you’d like to dive deep into this topic, take a look at our tutorial: Editing wp-config.php. Finally, consider that both the plugin and the built-in SAVEQUERIES functionality are developing tools that we should switch-off in a production environment. That being said, let’s have a look at how to speed up WordPress queries. We can query the database with the get_posts function, which returns an array of posts, or a new instance of WP_Query object. In both cases we can determine the results of the queries by setting appropriate values to specific variables. $args is an array of key/value pairs. These pairs are named query vars, and determine or affect the actual SQL query. An important thing to notice here is that the $query object is passed by reference, not by value, meaning that the query arguments are just affecting an existing $query instance. In this example, the LIMIT value has been set by the admin user in Reading options, as shown in the image below. In custom queries we can set the number of rows to be retrieved from the database thanks to the pagination parameter posts_per_page. Unfortunately, SQL_CALC_FOUND_ROWS can significantly slow down the query execution time. The good news is that we can force WordPress to remove the option providing the under-used (and not documented) no_found_rows variable. If SQL_CALC_FOUND_ROWS is omitted, FOUND_ROWS() returns the number of rows up to the value of LIMIT (more on this topic on MySQL documentation). Removing SQL_CALC_FOUND_ROWS setting no_found_rows to false, the same query took 0.0006 seconds. When the wp_post table contains thousands of rows, the query execution could take seconds. When we don’t need pagination, we should ever set no_found_rows to true, making the query run dramatically faster. WordPress provides a built-in caching system out of the box. Although caching generally improves page load speed, it may cause some extra queries to be run against the database. Additionally, anytime a query is executed a bunch of unnecessary data could be requested. cache_results: Whether to cache post information. Default true. update_post_meta_cache: Whether to update the post meta cache. Default true. update_post_term_cache: Whether to update the post term cache. Default true. If a persistent caching system is enabled, such as Memcached, we don’t have to care about caching parameters because WordPress will set to false these arguments by default. When a permanent caching system is not available, queries returning small amounts of data should not be cached. Which fields to return. Single field or all fields (string), or array of fields. ‘id=>parent’ uses ‘id’ and ‘post_parent’. Default all fields. Accepts ‘ids’, ‘id=>parent’. The fields variable admits 'ids' and 'id=>parent', and defaults to * (any other value), although you’ll notice that by default WordPress will set the value to ids in several queries. When specific fields are not required, limit the returned fields to IDs. Considering query speed may not bring huge advantages for small websites with a few hundred posts. If you want to get ready for growth or you are running a large website with expensive queries you should optimize your WordPress queries. Inefficient queries can dramatically slow down page loads but with a few simple tweaks you can speed up your website considerably.